I’ve been wearing a tired bun for literally 2 weeks, so I broke down at 9 PM last night and co-washed my hair. Sat under the hair steamer with my deep conditioner at 9:45 PM and just did a Wash and Go with Shea Moisture Curl Milk. After applying the product throughout my hair, I just wrapped my hair in the body of a t-shirt, secured it with bobby pins and went to bed. This morning, I removed the t-shirt, smoothed my edges with Eco-Styler Gel and voila, the picture above is today’s hair. Let’s see how long I can pull this off. 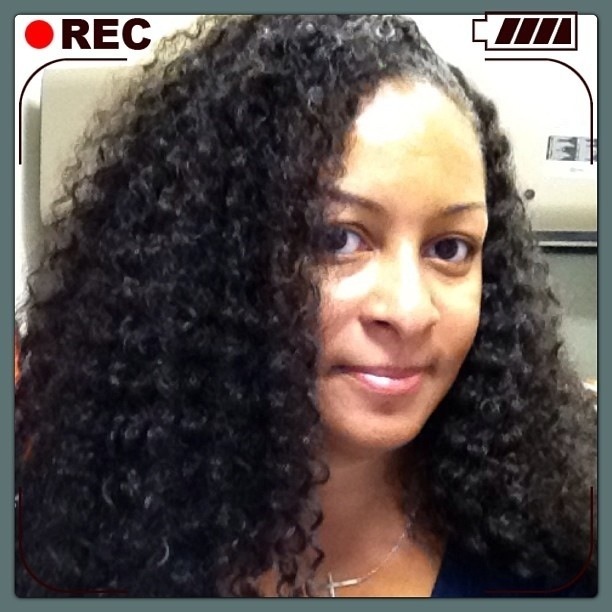 This entry was posted in Hair, Natural, natural hair, SheaMoisture, Wash-N-Go. Bookmark the permalink. I’ve never heard of wrapping in a T-shirt is that just a preference or is there a benefit to it. Your hair looks beautiful! Using a t-shirt helps to keep the moisture locked in and doesn’t disturb your curl pattern. A towels dries your hair out literally and creates frizz.